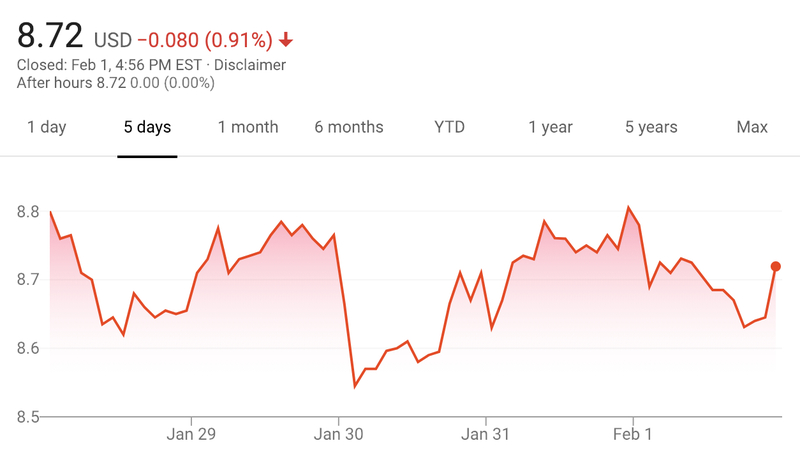 The value of Ford stock remained steady during the January 28th, 2019 – February 1st, 2019 timeframe, closing the week at $8.72 per share. The stock closed the week $0.08 lower than its opening value for the week of $8.80. Overall, it wasn’t a particularly notable or exciting week for Ford shareholders, considering the decline in Ford stock value, however slight. By comparison, Fiat Chrysler Automobiles experienced notable growth this week, climbing into the $17 threshold, while the value of GM stock continued to rally.